Driving an electric car charged by solar panels on your roof sounds like the dream - you are now driving to work in a vehicle powered (at least in part) by the Sun, independent of fossil fuels and the business and environmental stigma attached to them. But how do the economics of charging your electric vehicle (EV) from rooftop solar PV work? Is it financially advantageous over the alternatives? We’ll break it down in this article, by first reviewing the financial aspects of solar PV, then discussing the economics of solar + EVs versus traditional gas-powered cars. The main drawback of solar is the upfront cost - for a 5 kilowatt system (more than enough to power the average American home), if you were to purchase it with cash it would cost you around $18,000. However, this is before taking solar subsidies and rebates into account. The Consolidated Appropriations Act allows taxpayers who purchase a solar system to claim a 30% tax credit on the cost of their system, with diminishing returns after 2019. The Federal tax credit essentially brings the upfront cost down to $12,600 assuming you will have a tax burden of at least $5,400 over the following 5 years. Although there are other ways to finance a solar system, let’s assume you decide to pay for yours in cash upfront. Once installed, your system will be producing clean, cost-free electricity for the remainder of its lifetime. Additionally, Pick My Solar’s competitive process reduces the price you pay for your system by another 20%, bringing it down to just over $10,000. According to the U.S Energy Information Administration (EIA), the average Californian home uses approximately 6,700 kWh a year. At an average California residential utility rate of $0.18 per kWh, this means Californians spend an average of $1200 per year on electricity. At this rate, the 5 kW solar system you installed would pay for itself in 10 years. It is also important to note that the average rate of utility prices increases by 3% every year. Now let’s talk cars, specifically EVs. Electric vehicles and hybrids have been rising in prominence over the last few years, due largely in part by companies like Tesla, and other affordable EVs and hybrids like the Nissan Leaf and Chevy Volt, as well as huge federal and state tax credits and rebates. But in the long run, are EVs more economical than traditional gas-powered cars? To test this question, let’s research the costs of a standard electric car with that of an average car powered by an internal combustion engine. We’ll use a 2016 Nissan Leaf as our example EV. 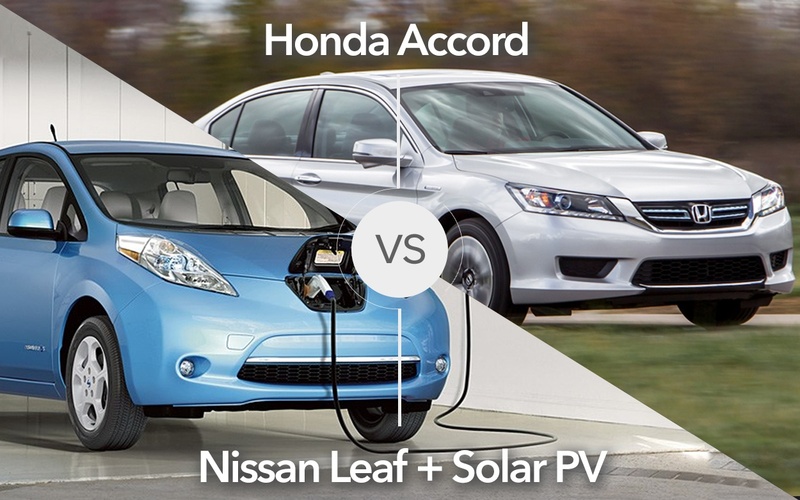 The Leaf will be compared against a 2016 Honda Accord. Here we can compare the total costs of an EV like the Nissan Leaf with a similarly priced conventional vehicle like the Honda Accord. Let’s run the estimate without solar initially for an example homeowner in Southern California. In this example, the homeowner resides in Pasadena, CA, and commutes 15,000 miles a year, or about 41 miles a day. They also spend $150/month on electricity (above average for a California household). A Honda Accord has an MSRP of just over $22,000. The base price for a Nissan Leaf, on the other hand, is $29,000, but federal and state tax credits and rebates* bring the cost down to $19,000 (a $10,000 reduction). This gives these two vehicles a comparable price tag, with the upfront cost of a Leaf being $3,000 less than that of the Accord. In sum, having an EV raises the monthly electricity bill by $65, but the homeowner still has a net savings of around $680/year from not having a conventional gasoline-powered car. This is in addition to saving $3000 from the lower upfront cost of the Leaf, allowing for a first-year savings of $3680, breaking even from the get go. *Federal tax credit for EVs: “Plug in Electric Drive Vehicle Credit” - allows up to $7,500 in tax credits. California state incentive for EVs: $2,500 rebate for battery-electric vehicles. Bringing solar into the equation, however, truly completes the picture. Let’s use the same conditions as above (homeowner resides in Pasadena, commutes 15,000 miles a year, and spends $215/month on electricity), but now including a solar system that offsets 100% of the utility bill installed on the homeowner’s roof. This system size is around 10.5 kW (well above average-sized). Our projection estimates a yearly savings of $3,260, with a 10 year savings of $32,600. It should be noted that virtually all solar panels have a guaranteed performance of 25 years. 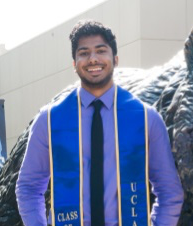 In conlusion, powering an electric vehicle from rooftop solar is economically advantageous compared to purchasing a gas-powered vehicle. Although the initial costs involved may be intimidating to some, these expenses are more than paid back in a relatively short amount of time. Plus, when you're purchasing a solar system, the cost of the project is added on to your home's value. There are also plenty of low interest financing options for solar systems that require $0 down. Not only is it clean and green, it simply makes financial sense to run on sunshine. 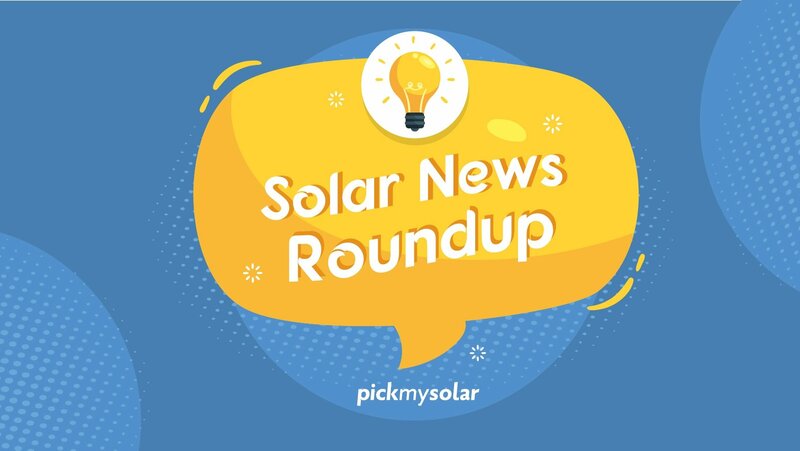 All calculations and estimations were done using data from the Energy Information Association, the U.S. Department of Energy, the California Solar Initiative WattPlan calculator, and Pick My Solar’s own solar estimate calculator. Interested in conducting your own cost-benefit analysis of driving an EV versus driving a conventional vehicle? Pick My Solar can help you decide how advantageous an EV can be for you.